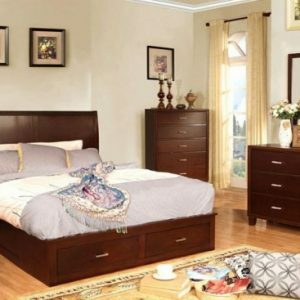 This Wynn collection bedroom set combines a charming beauty with contemporary design. The smooth wood finish and minimalist handles further accentuate the simplicity of the set. These pieces are ideal for those looking to create a spacious, yet effective sleeping environment.